Piggybacking on the global competition to name the new Seven Wonders of the World, San Luis Obispo features its own seven wonders, as named by readers of The Tribune in October 2006. 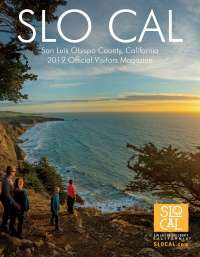 Although named The Seven Wonders of San Luis Obispo County, there are actually eight, and include Morro Rock, Mission San Luis Obispo de Tolosa, Madonna Inn, wine country, Hearst Castle, Charles Paddock Zoo, Montaña de Oro State Park, and the San Simeon-Piedras Blancas coastline. The Seven Wonders are a great way to introduce visitors to San Luis Obispo County and re-introduce returning visitors on what the area has to offer.